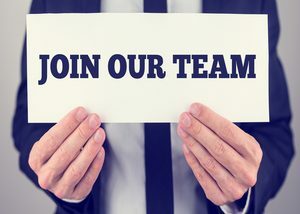 Marc Waring Ventures, the company behind the small business education and product review website, FitSmallBusiness.com, is seeking a business development manager/associate to join our growing team. We are a fast-growing NYC-based startup, with offices right across the street from Grand Central. In less than 4 years, Fit Small Business has grown from two founders to a team of over 20 writers, editors, marketers, and SEO specialists. This position is the first to have a full-time focus on Business Development. The selected candidate will have the opportunity to work directly with the firm’s founders. Previously, the founders played key management roles in helping a company go from startup to publicly traded on the NYSE. In 2016, we began offering content sponsorships on a selective basis. We have had a number of companies become content sponsors including Intuit, SAP, and RingCentral. The goal for 2017 is to generate $400,000 in revenue from content sponsorships. The primary goal of this position is to prospect, sell, and manage content sponsorships. 2 Years Experience In Business Development or Online Advertising Sales. Great communication skills, including the ability to do B2B sales. A starting salary between $50K and $70K depending on experience.